Posted on February 21, 2017 by thelostlighthouse	in Gaming, Podcast, Total Reroll and tagged 5th Edition, 5th edition D&D, actual play, cultists, D&D, DnD, Dungeons & Dragons, Dungeons and Dragons, fantasy western, gaming, pen and paper RPG, podcast, real play, role playing game, RPG, thelostlighthouse, TLL, tllgaming, tllpodcast, Total Reroll, Total Reroll Equinox, Western, Wizards of the Coast. The gang is has arrived in the fishing town of Scaleberg for some much needed R&R. This is the start of a 3-part arc called The Last Hours of Scaleberg. This visit is unlikely to be restful or relaxing. The town of Scaleberg. We enter from the entrance to the south west, the red shapes are buildings, with the docks and the sea to the east and boats in blue. Liighthouse is to the south east. The circle and X nearer the middle is the statue to the goddess of light, the one closer to the south east and the lighthouse is the abomination altar. The blacksmith’s building we visit is the top most building near the water. 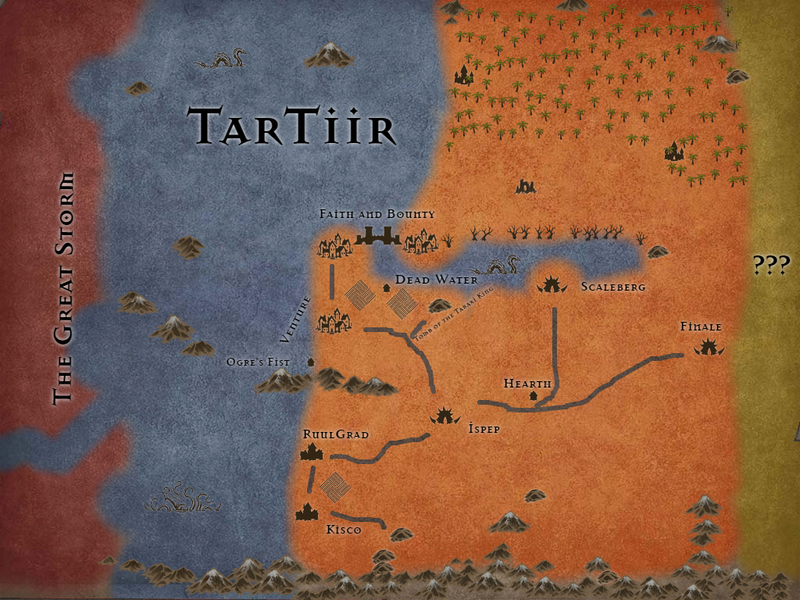 An updated map of TarTiir. 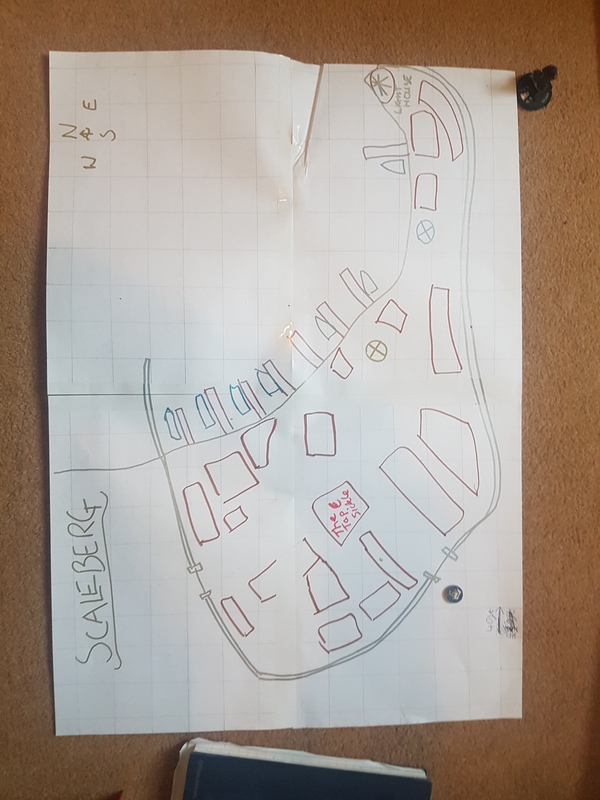 We are at Scaleberg, east of Dead Water and the Tomb of the Tabaxi King.